The Georgetown Public Library’s books-for-sale area is very well organized and, for a public library bookstore, comprehensive. In the Georgetown Public Library is a Friends of the Library book sale that could almost double as an actual bookstore. The first time I went, I picked up several hard-to-find items from my list, including Michael Moorcock’s The Stealer of Souls. It’s also where I discovered Natan Sharansky’s The Case for Democracy. The second time I went, I picked up two of the Best American Short Story collections. I’ve been reading a bunch of these this year, after picking up the Salman Rushdie one at a big warehouse sale in 2015. This may be the best library book nook I’ve been to. If you’re on a book tour of central Texas, the second best is about ten minutes further south at the Round Rock Public Library. Besides both having great used book sale areas, both are very nice libraries. Second-Hand Prose is on the second floor of the library; if you feel like relaxing with your purchases, there is a nice coffeeshop on the first floor, with indoor and outdoor tables. Update (February 28, 2018): As of last month, they’ve switched to a donation-only model; that is, you pick out your books, donate what you feel like donating, and that’s it. I’m going to maintain the 3:2:1 ratio from now on, preserving the ratio inherent in the old prices of $1.50 for hardcovers, $1.00 for trade paperbacks, and $0.50 for mass market paperbacks. Then, apply some algebra (remember algebra? this is a song about algebra) to determine the “actual” price paid for each book. If you notice that the prices jumped today, that’s why. It looks like Fifth Avenue Books in San Diego is about to close for good. 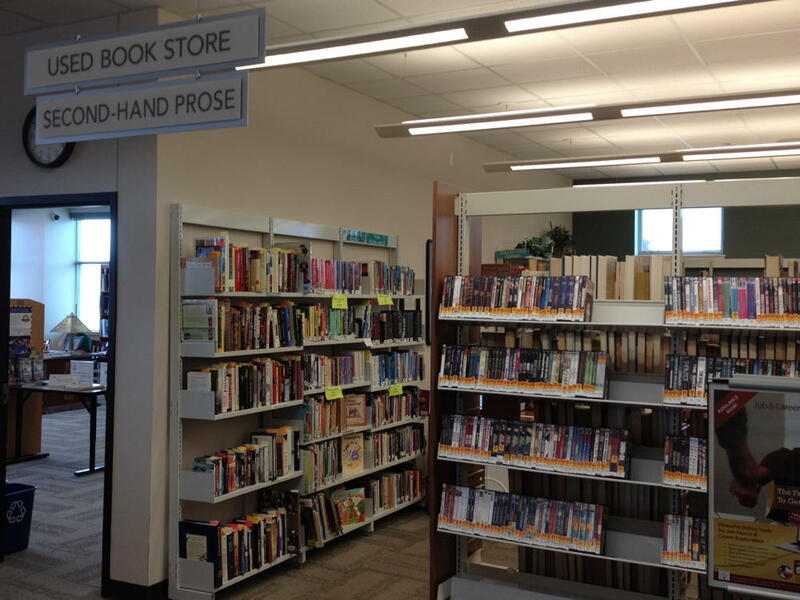 The Round Rock Public Library’s Book Nook doesn’t have many books, but what it has is quality. If you’re passing near Newaygo Michigan, don’t miss this bookstore hidden among the antique stores and art stores of little Newaygo. Georgetown, Texas: Second-Hand Prose last modified February 28th, 2018.